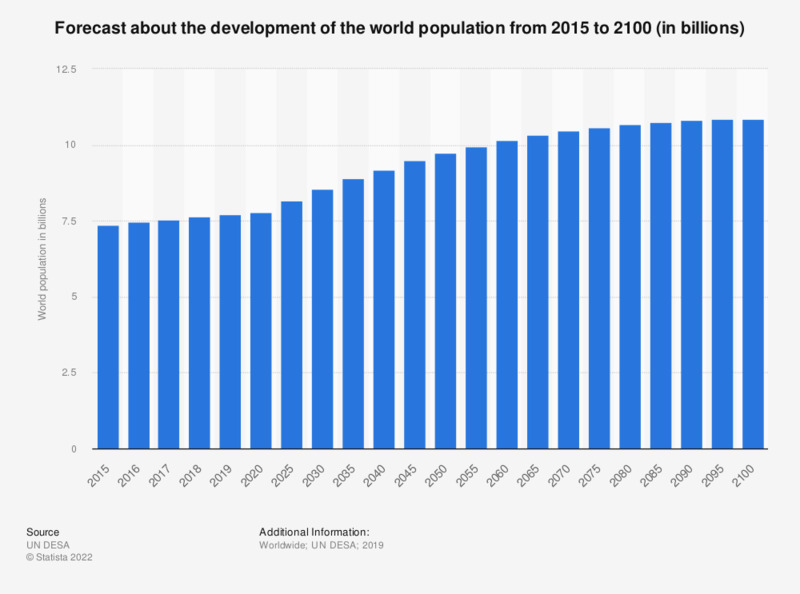 The statistic presents a forecast about the development of the world population from 2015 to 2100. The world population in 2100 is estimated to be about 11.18 billion people. Numbers were rounded to the nearest statistical value. The information is based on the nearest calculation variant.